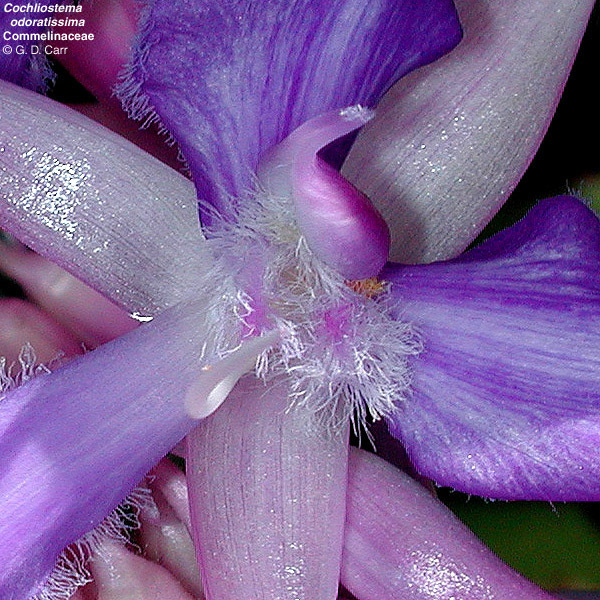 Cochliostema odoratissima, anthers enclosed in a hood formed from the united filaments. 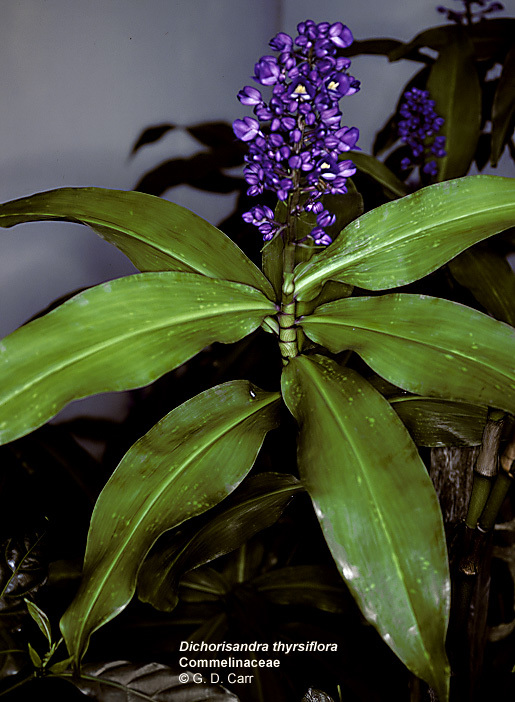 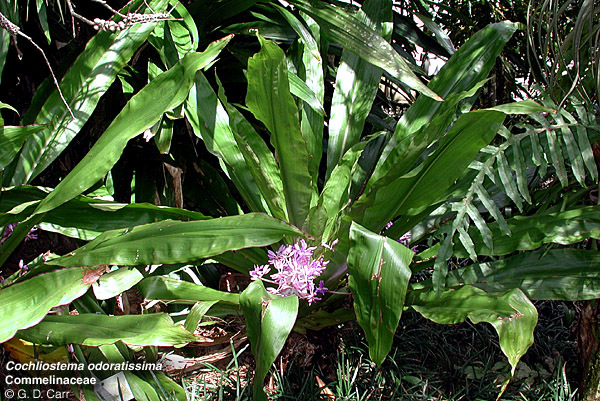 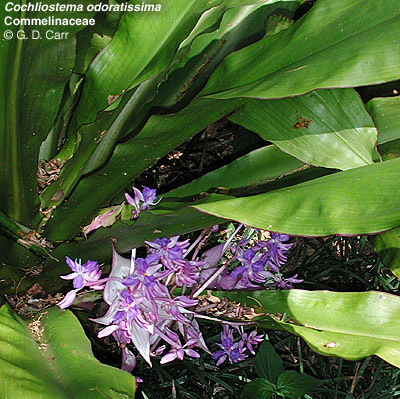 Dichorisandra thyrsiflora, blue ginger. 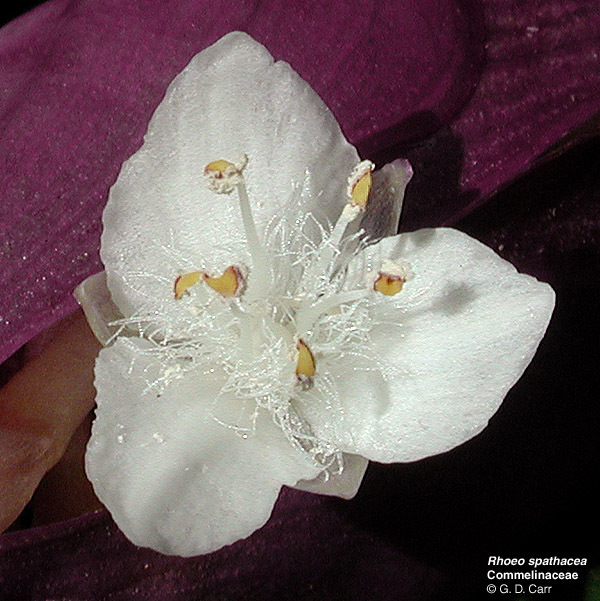 This unusual member of the family has petaloid sepals that are white on the front and purple on the back. 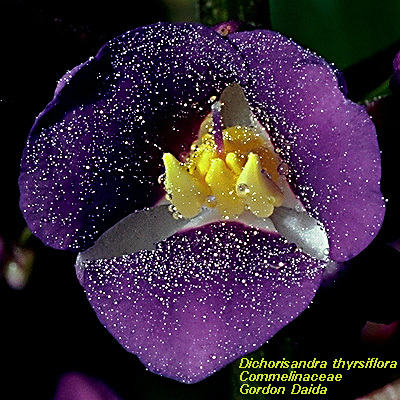 Also, though not visible in this photo, the anthers of this species open by terminal pores. 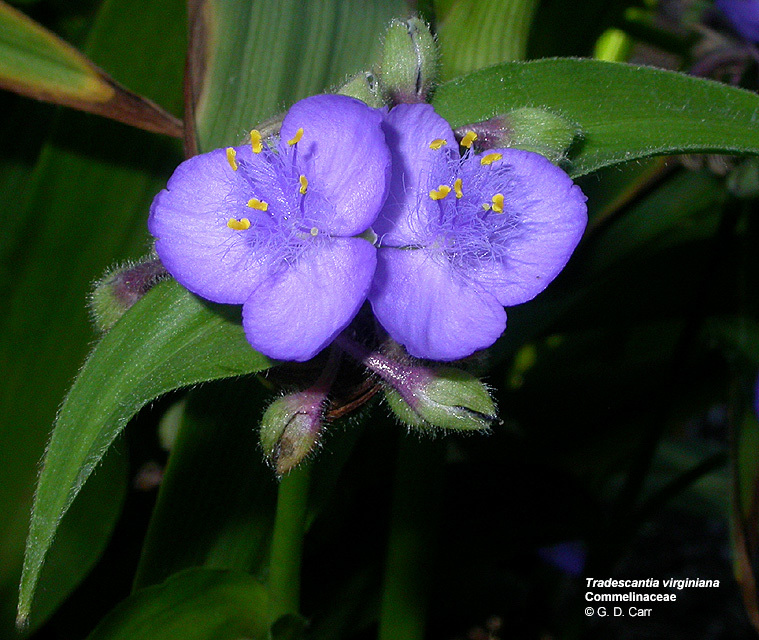 Tradescantia virginiana, spiderwort, OSU, Corvallis, OR, 2003. 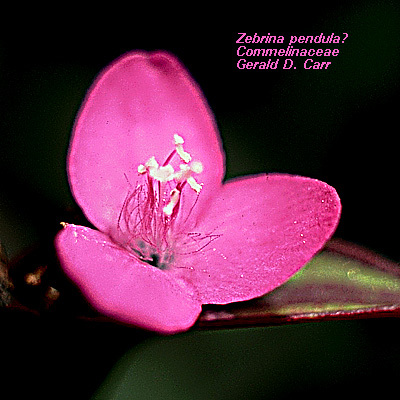 Zebrina pendula, wandering Jew. 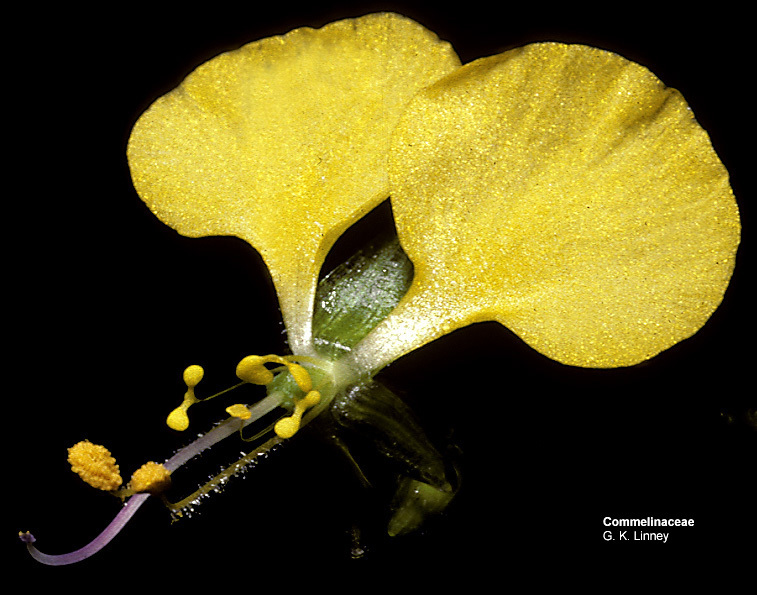 This species has an actinomorphic, trimerous flower with 6 stamens. 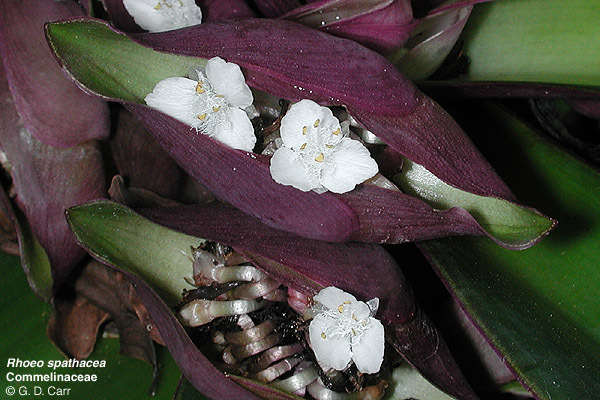 The inflorescence is cymose and is subtended by a boat-shaped bract. 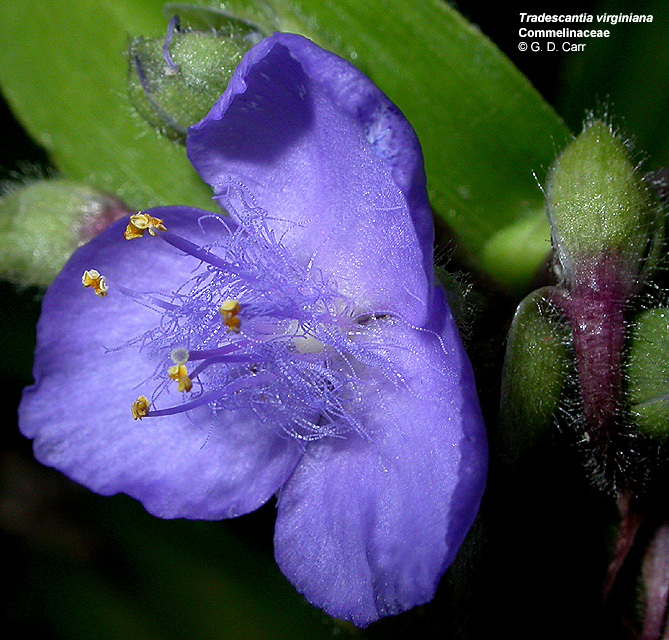 It is common for the filaments to be hairy in this family. 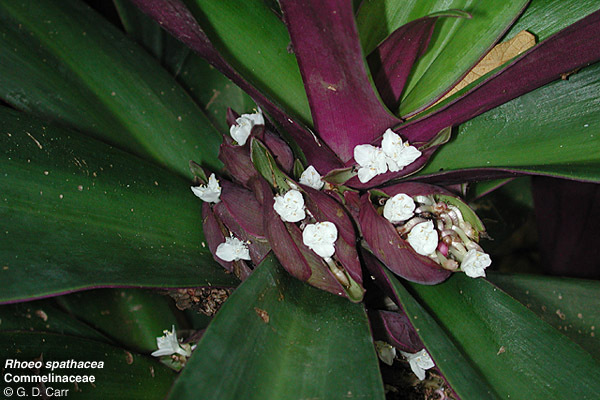 Aneilema aequinoctiale. 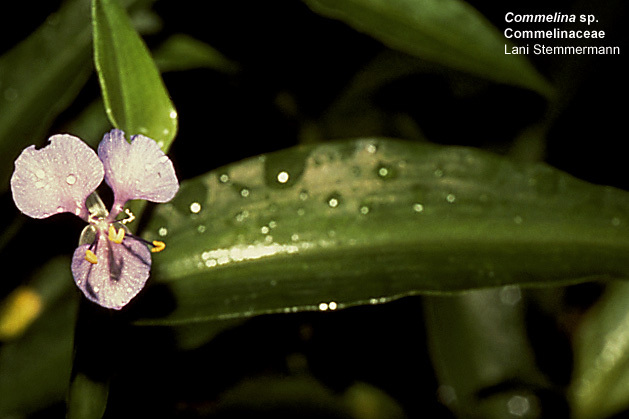 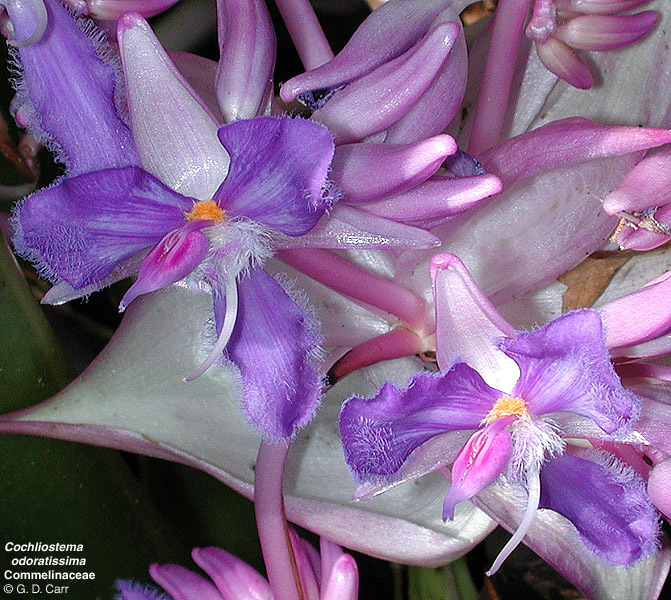 This species has zygomorphic flowers with one petal greatly reduced or obsolete. 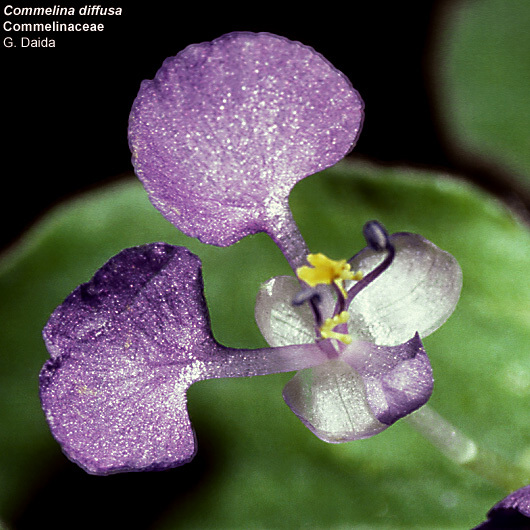 Note the green sepals. 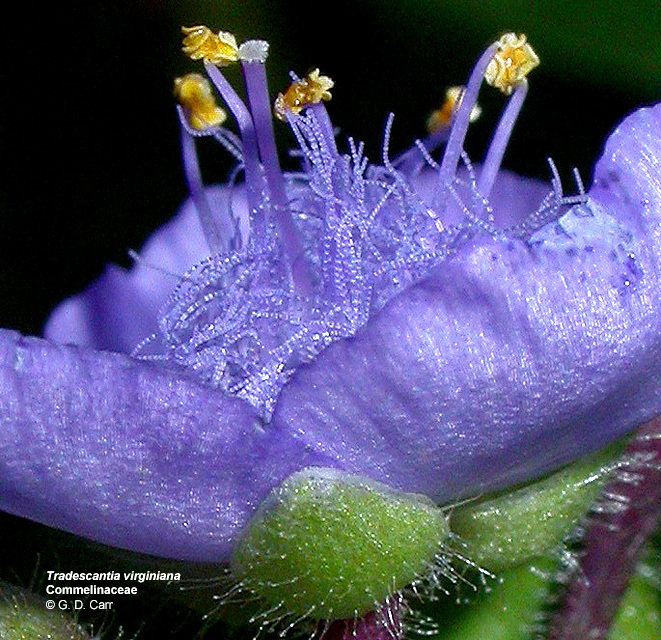 Only two stamens appear to be functional.